Home Innovation Will driverless cars mean computer crashes? Google co-founder Sergey Brin believes that “self-driving cars will be far safer than human-driven cars” but who trusts them enough to drive in them or even alongside them? Drivers will not need a driving licence by 2040. At least that is what the Institute of Electrical and Electronics Engineers believes. 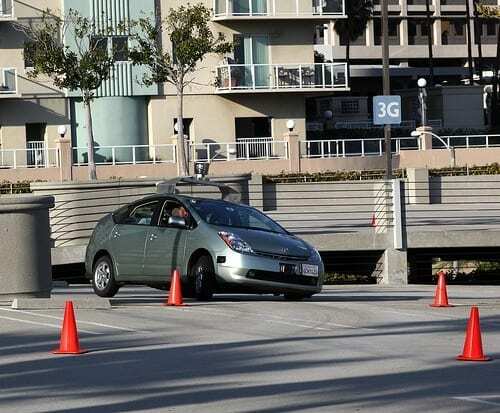 It thinks autonomous cars capable of driving to any destination are set to become the norm. With an estimated 90% of current car accidents thought to be caused by human error, taking people out of the equation is seen by many car companies as a massive boost to safety. But most qualified drivers do not seem to think they would be the ones in trouble. “Most drivers think they are better than average drivers,” says psychologist Dr Graham Hole, of the University of Sussex, who has published work on the psychology of driving. A large number of companies are investing in autonomous driving technology. General Motors, Volkswagen, Google, Volvo, BMW, Audi, Mercedes and many more are all in vehicle autonomy trial stages to a level not seen before. But who is a better driver – man or machine? And if there is a clear winner, how are drivers – or technical experts – convinced of the findings? In the US in 2010 – 32,885 people died in motor vehicle crashes – the lowest number on record for more than 20 years. This is the equivalent of 1.11 fatalities for every 100 million miles travelled on US roads, according to the US National Highway Traffic Safety Administration. It will take Google 300 million miles of driving without fatal incident – Bryant Walker Smith, of Stanford Law School, believes – to prove that autonomous cars are significantly safer. But even if these figures are proved to be true, we will still take some convincing before we hand over control to a computer. Psychologists believe people are more scared of things not under their direct control, pointing towards the fear of flying, nuclear power and even food preservatives.